Elizabeth Drayton, daughter of a prominent and powerful Arizona rancher, has been kidnapped. Calling upon all his resources, including President Andrew Johnson, Augustus Drayton enlists the aid of twin brothers Thomas and Travis Yancey, newly appointed U.S. Marshals, to head up the search. Elizabeth's half-brother, Cochinay, son of Gus and his Apache housekeeper, serves as guide across grassland, desert sand, and up into the Pinaleño Mountains. At first Cochinay (Yellow Thunder) is able to find clues here and there that Liz has left behind; later on, the trail runs cold. The kidnapper is Baldwin Carpenter, a former sheriff turned outlaw. When Liz was just a baby, her mother had also been stolen away as revenge for her father's wrong, and Gus had sent the sheriff out to recover her. The plan failed, and Amelia Drayton died. Moreover, Gus reneged on paying what he promised. Now, Win wants his money, and he is willing to go to great lengths to get it. A strange thing happens during their trek to Win's mountain hideaway, however. The two become friends. Liz puts together willow bark tea to ease Win's suffering caused by rheumatism, and she takes on some of the heavier chores to spare him further pain. Meanwhile, the search party is intercepted by a hostile Apache named Itza-chu. The meeting is cool, but Cochinay senses danger in the man's presence. Eventually both Yanceys and their guide stumble across the cabin where Liz has been stashed. 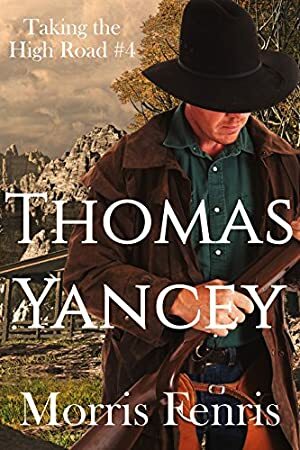 Surprisingly, she behaves more like a good friend than a captive, and the Marshals are taken aback by her congenial attitude toward the outlaw. Thomas is also handily smitten with the beauteous and quite capable Elizabeth Drayton. Plans are made to return her to her home, and Win Carpenter to the nearest authorities, when a crisis intercedes and circumstances change. Thomas' plans are thrown completely out of kilter. Battles and bloodshed and a welter of human emotion lead up the mountain and back down again. Track It. This book reaches FREE about 11 times a year. Log In to track Infinity Book Covers on eReaderIQ. to be notified each time the price drops on any book by Infinity Book Covers. to stop tracking Infinity Book Covers. We started tracking this book on February 5, 2015. The price of this book has changed 105 times in the past 1,538 days. The lowest price to date was FREE last reached on April 9, 2019. This book has been FREE 50 times since we started tracking it. The highest price to date was $4.99 last reached on April 10, 2019. This book has been $4.99 8 times since we started tracking it.